My profile actually says it all, I am a garden lover. My sister, Beng who also loves and adores different beautiful sorts of garden motiff and designs sent me a bunch of pictures through my Facebook account and she asked me if I could help her out produce the same design in her house over in Cavite, Crystal Aire Subdivision in General Trias Cavite. In aid of helping her produce the beautiful garden, I searched online for ways in producing organic fertilizer to use in the plant nursery and station which we are to make in a lot she bought beside her house where our mom and dad currently lives. At last, I found just the right one (I think) and now I am on my way to make it into a reality. 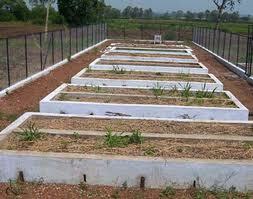 I wanted to test the effectiveness of the vermicast which was a produce of vermicomposting. I found a few farms present in Laguna and Cavite but since I’ve got a business running in Pagsanjan area, I decided and wanted to buy vermicast and african nightcrawlers (1 kilo) there when I come over to check on the business. I found a vermicomposting and african nightcrawler farm in Bay Laguna, probably just a 30-40 minute drive from where my family business is located in Pagsanjan. My only problem right now is the set up of the vermicomposting stationthat will hopefully produce the organic fertilizer that I need for my personal and backyard gardening. 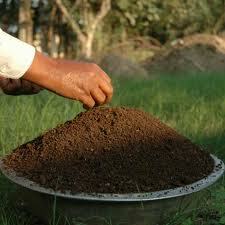 Me and my wife, Ana loves to plant vegetable seeds and we love eating food that are not just healthy but organic. We agreed on this and now I am excited to be on my way to make my own (probably) farm of african nightcrawlers and vermicast. We already have some common seeds to plant and a small place to plant them in to but the problem is the rain has been going on for about 2 weeks now so I can’t come over to Bay Laguna to pick up and buy the vermicast (1 sack sample) and the (1 kilo) African nightcrawlers I wanted to use in setting up my bin / bed of the composting station. In the Philippines, most producers were located in nearby Manila provinces like Cavite, Pampanga, Bulacan, Nueva Ecija, Bataan, Laguna, Isabela, Rizal and more while provinces of Davao, Cagayan de Oro, Cebu and other Visayas provinces were slowly dredging and engaging in organic farming were turning into this high yield organic fertilizer. Well, for now I already had a plan to construct the vermicomposting station this weekend so I hope by then that the rain is already far out and gone in the Philippine area of responsibility. It will further make it hard for me and my wife to have the set up going and running if it won’t stop. 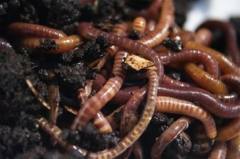 I am currently on my way to buy a container or bin for my bed where I will put the worms and I already gathered some information regarding how to best raise a healthy farm of these amazing angel worms so they could help us produce quality vermicast for our vegetable garden and small farm in both Cavite and Caloocan. I’ll be posting additional updates when the project is going to start and the development will probably be shot on a video so I can use it here to help others who want to set up their own vermicomposting station (bin) and harvest their own organic fertilizer in the vermicast. As soon as I have it ready, I hope you guys, my readers will be able to find my next post with a video recording of the actual process of making the station. Have a great day!